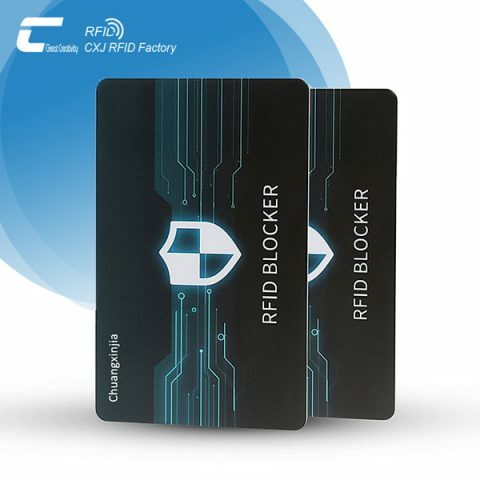 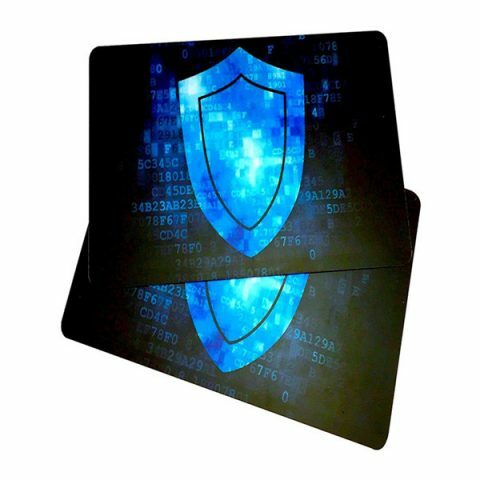 RFID blocking cards, same material with RFID blocking sleeves, also block RFID readers from scanning your personal information in RFID cards like credit cards, debit cards, bank cards, smart cards, RFID driving licenses. 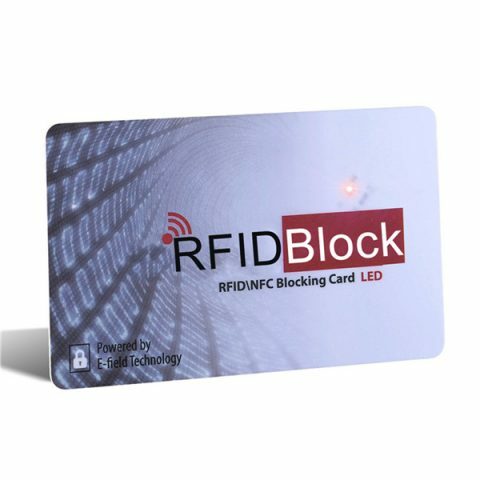 With RFID blocking cards, no need 1 card in 1 sleeve, i.e. 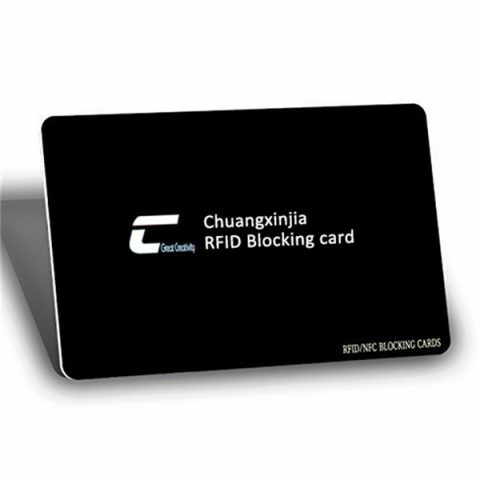 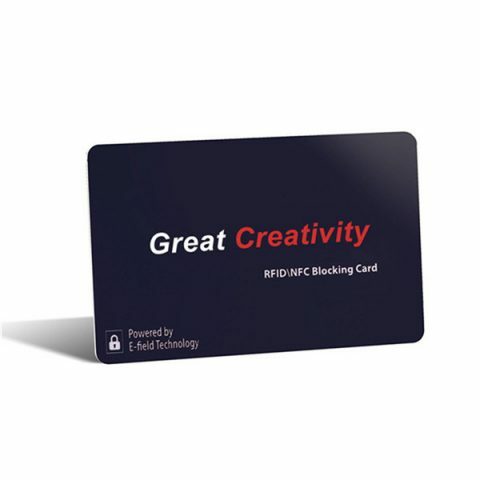 you can put several credit cards between 2 pcs RFID blocking cards, and these credit cards are under protection at the same time. 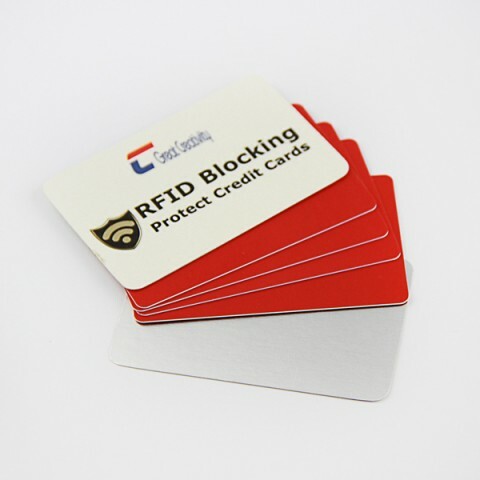 RFID blocking cards with 4 color custom printing, size can be can be same with standard card size or customized per your requirements.